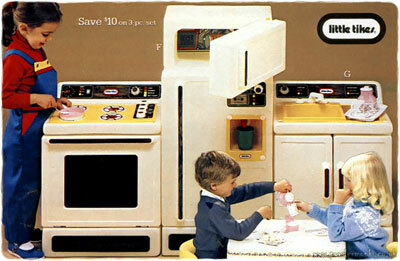 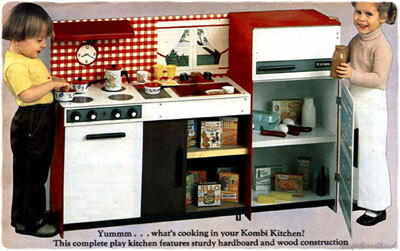 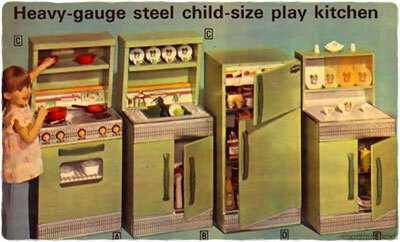 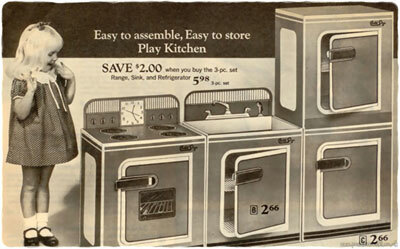 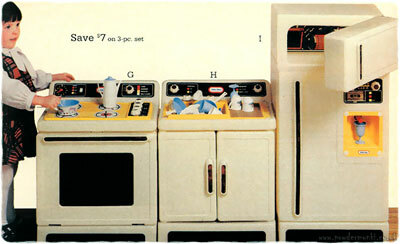 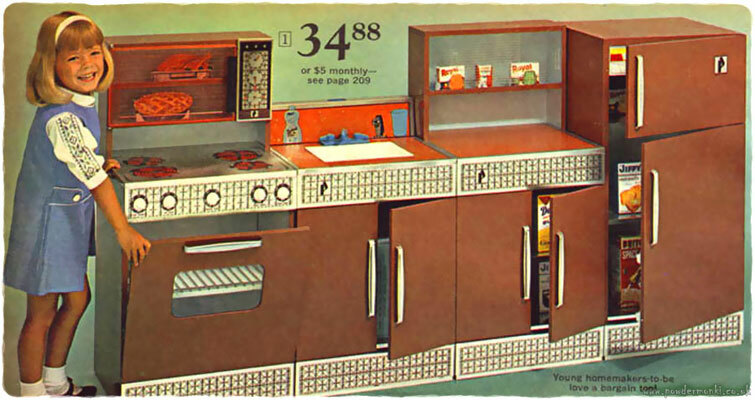 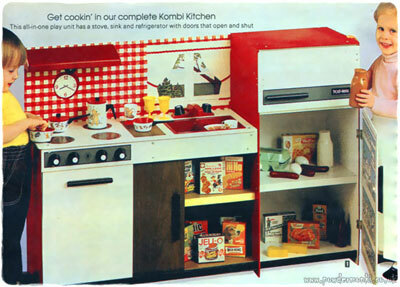 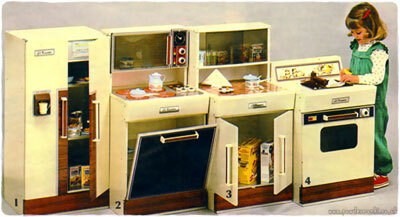 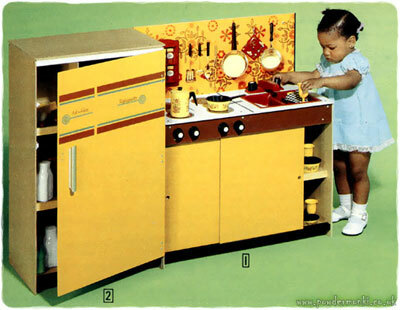 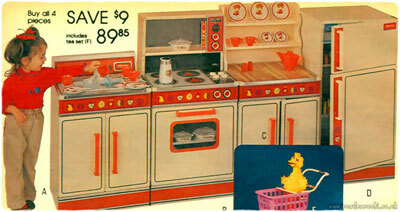 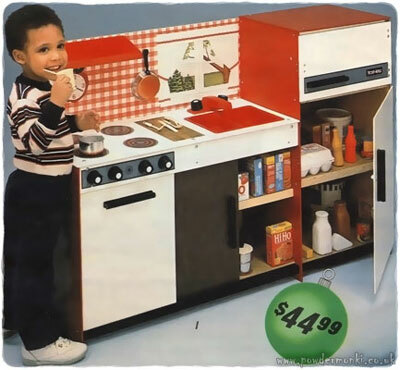 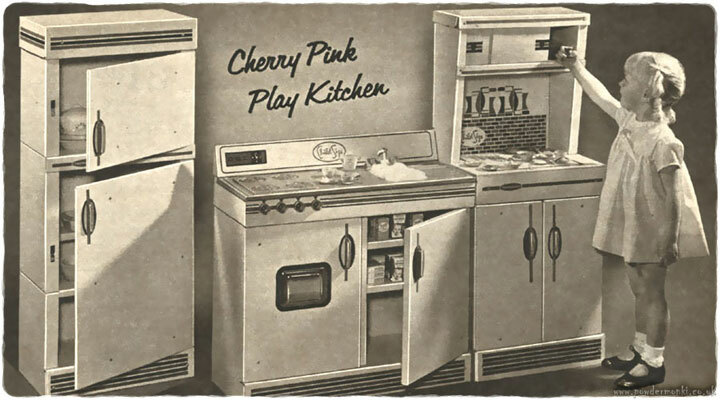 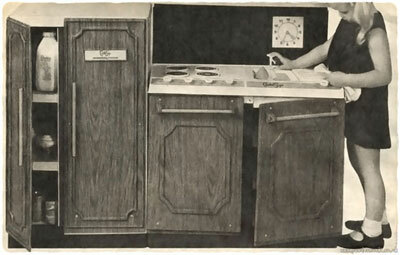 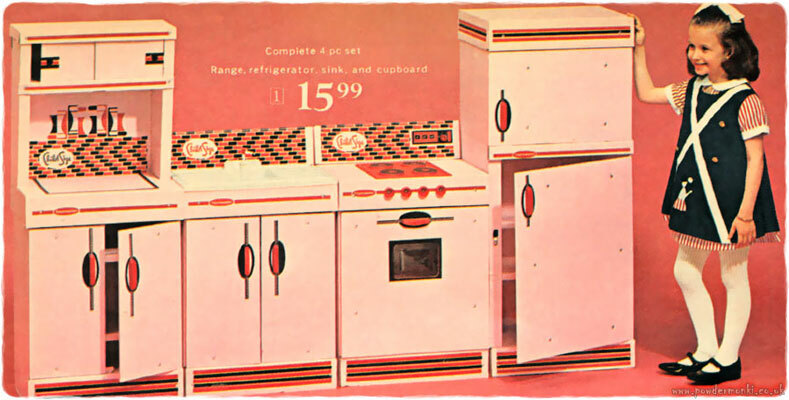 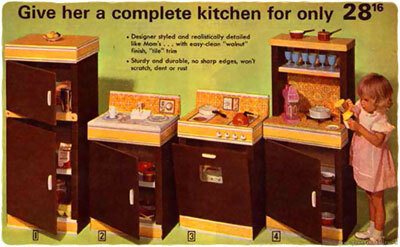 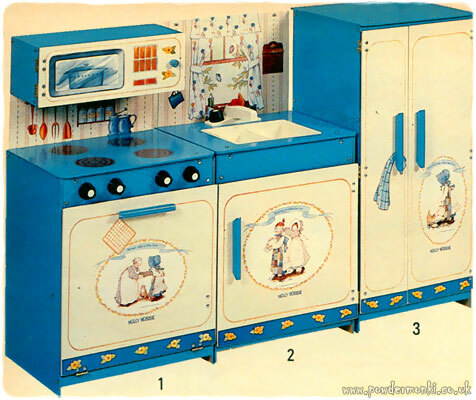 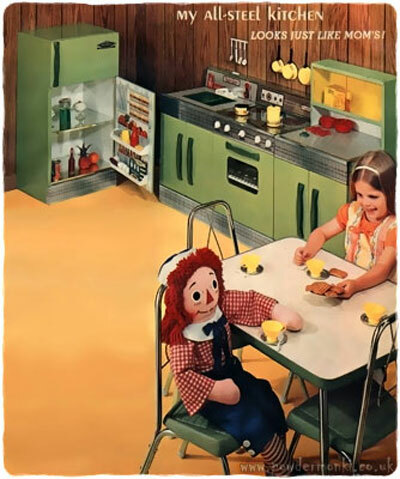 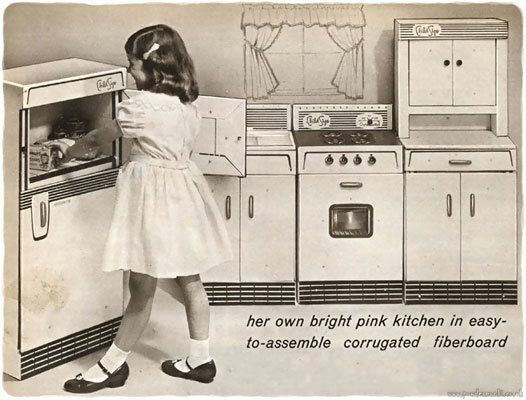 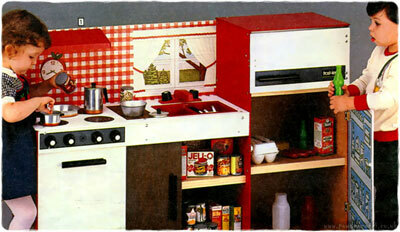 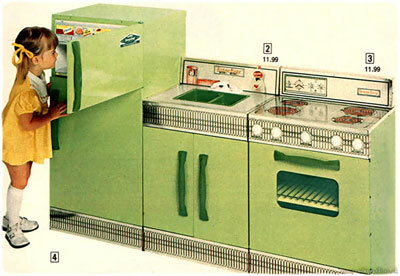 The sixties was all about having a kitchen just like mother. 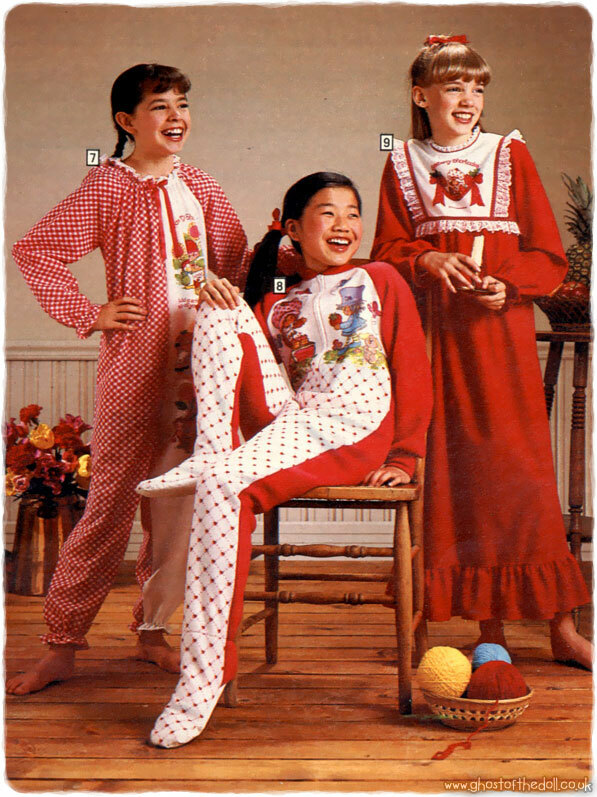 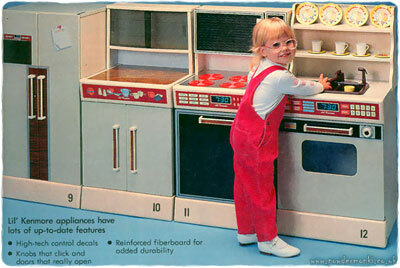 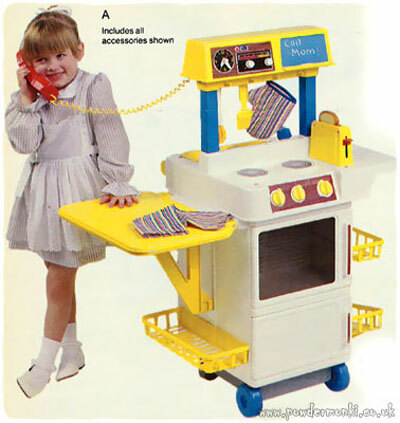 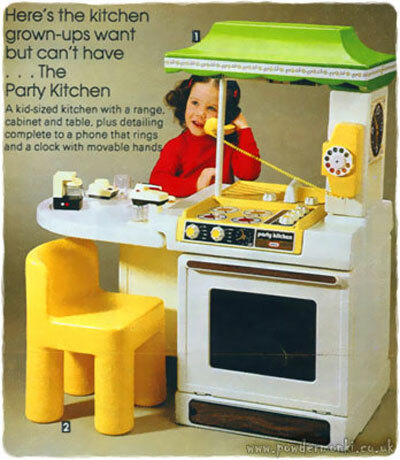 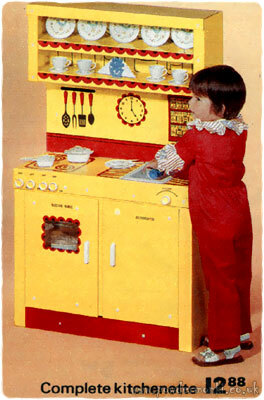 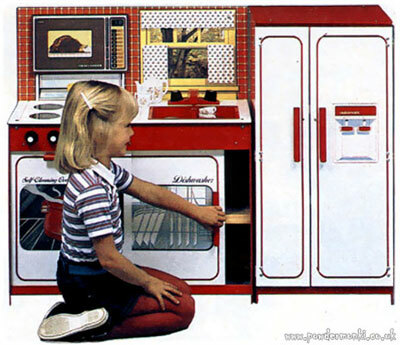 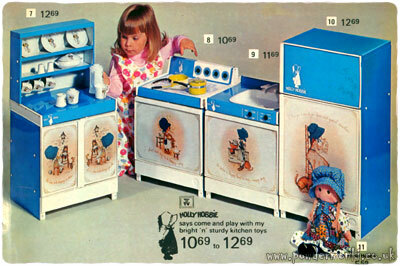 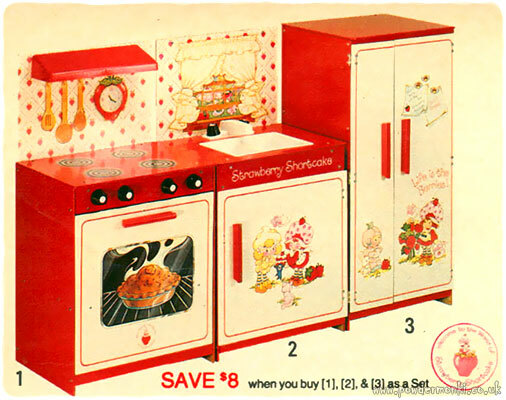 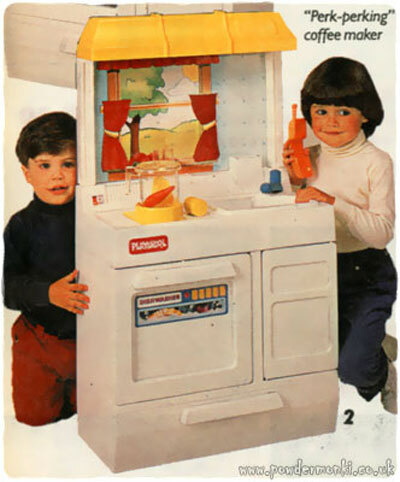 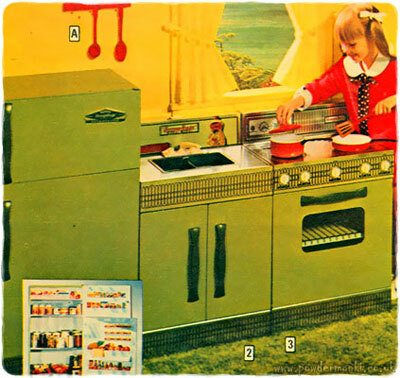 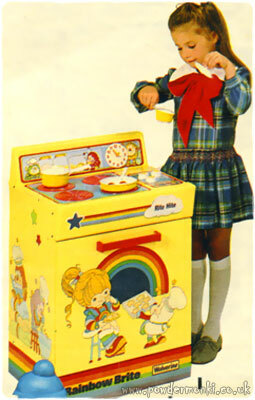 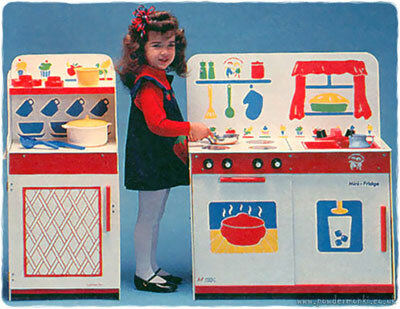 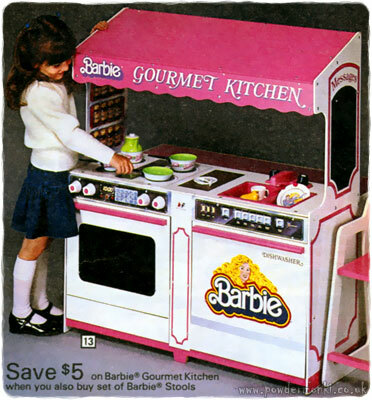 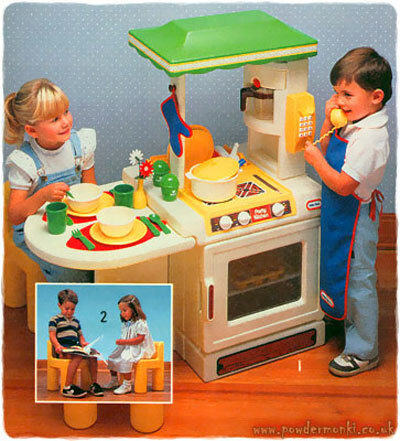 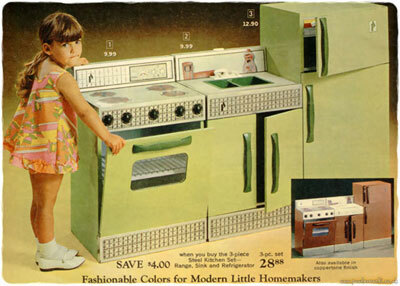 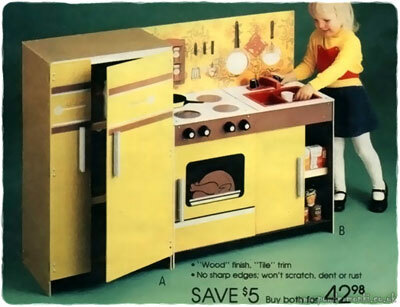 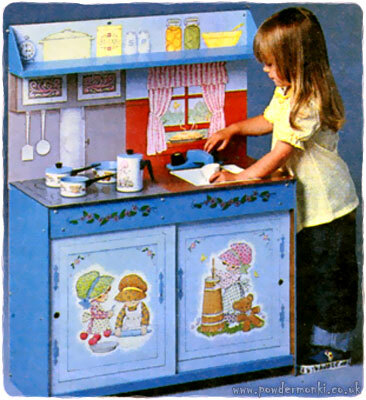 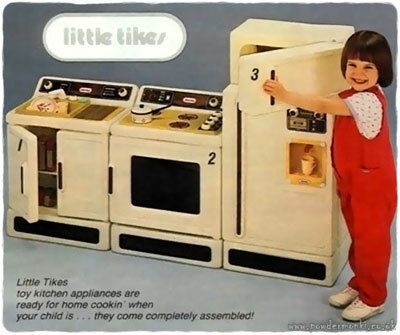 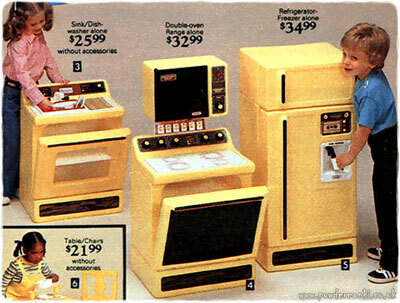 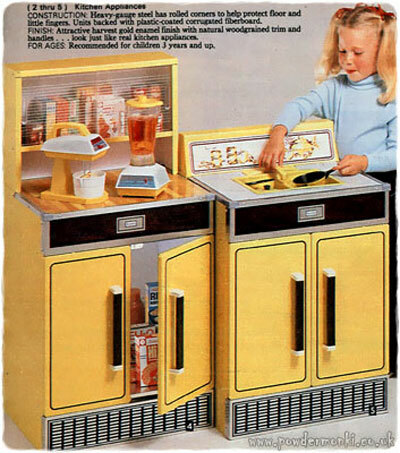 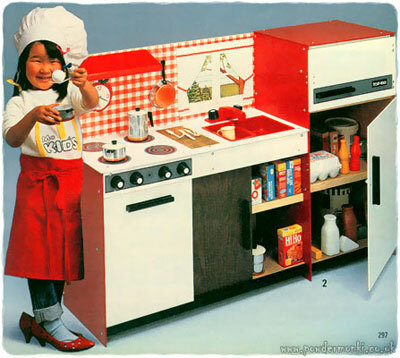 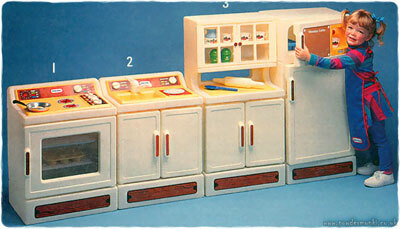 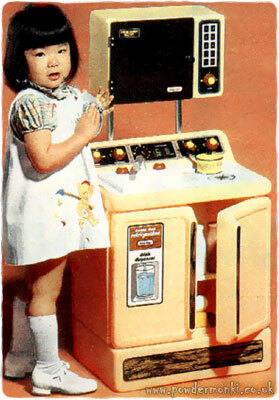 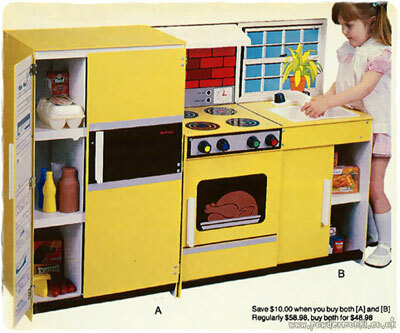 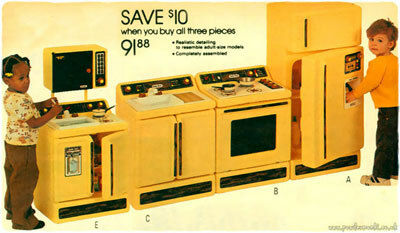 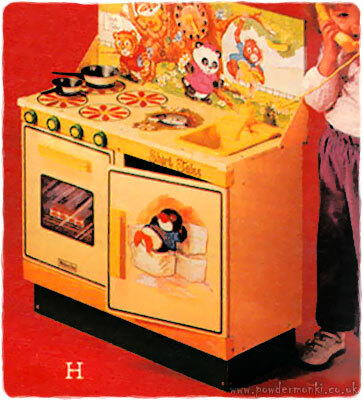 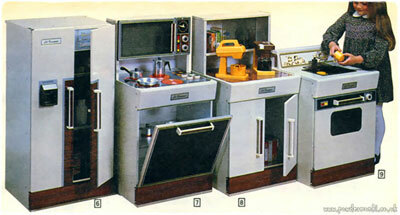 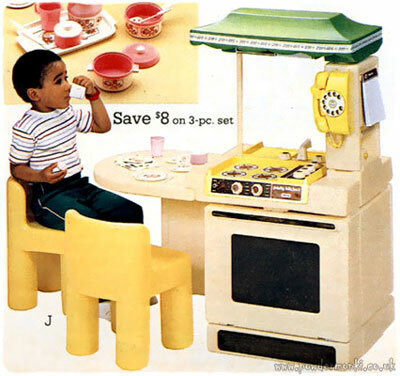 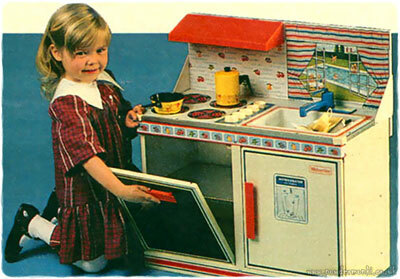 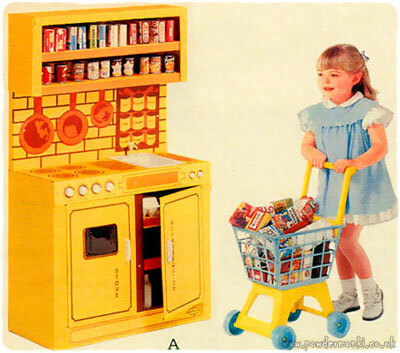 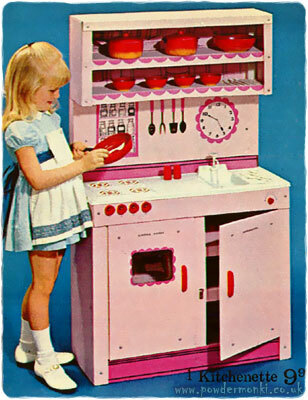 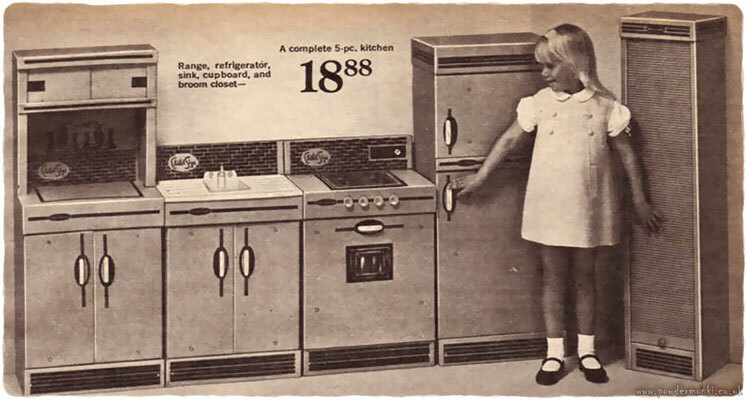 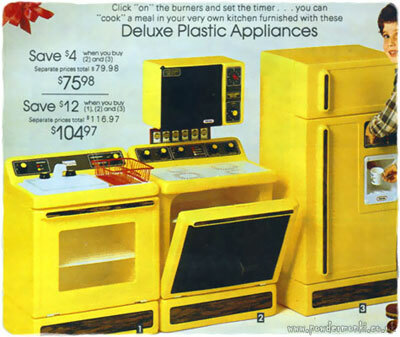 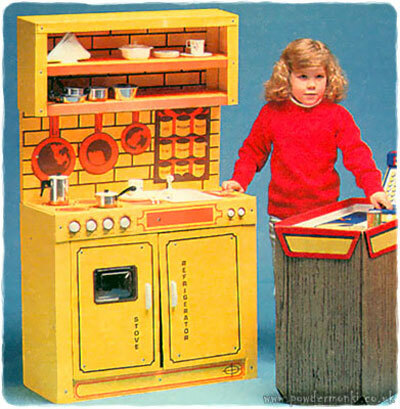 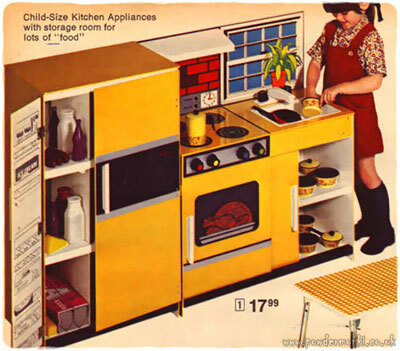 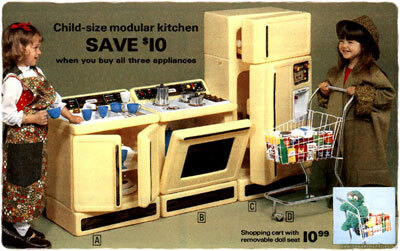 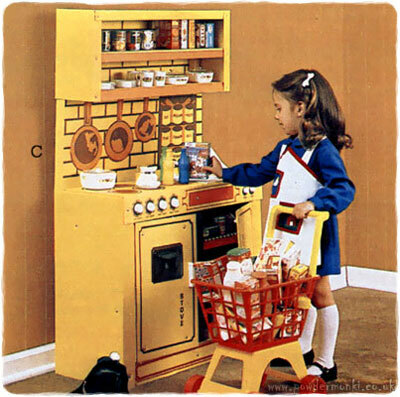 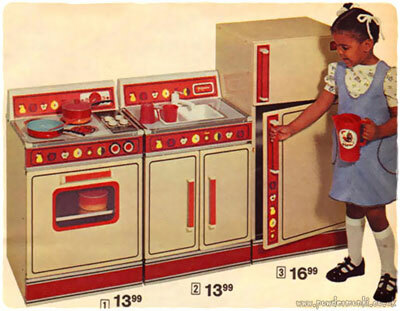 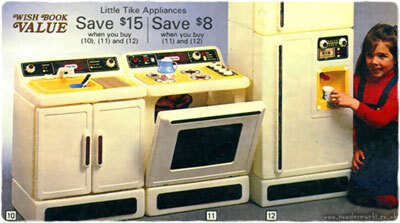 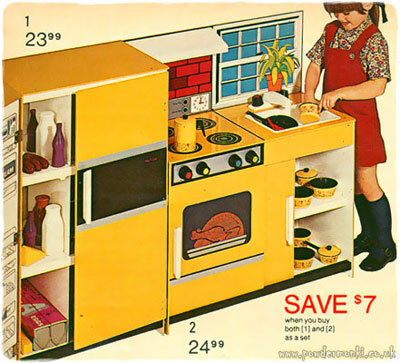 The seventies was all about little homemakers and mini hostesses. 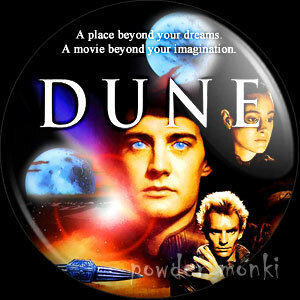 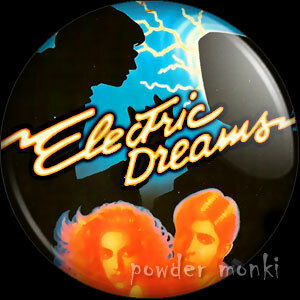 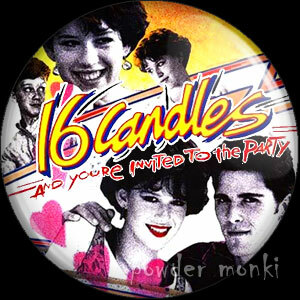 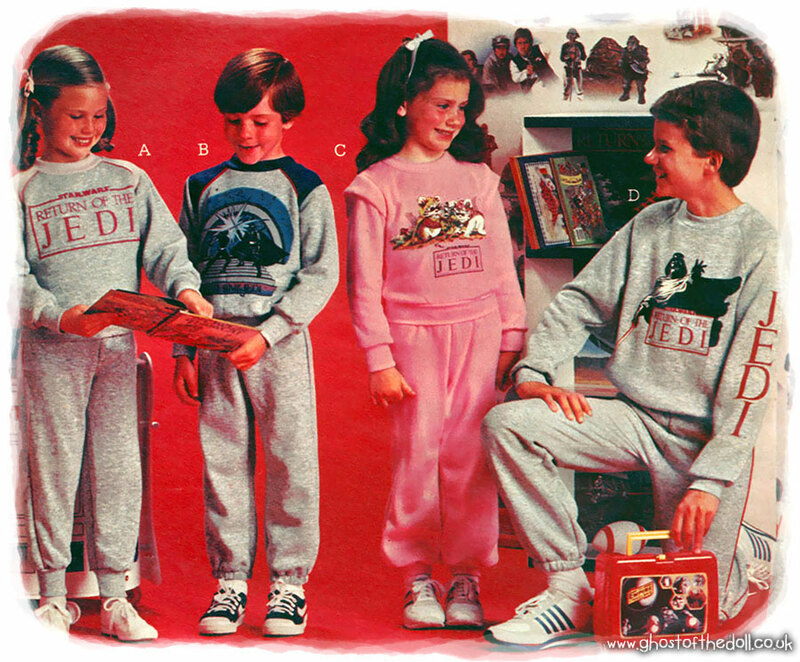 Boys finally made and appearance in 1979, with a continued smattering throughout the 1980’s. 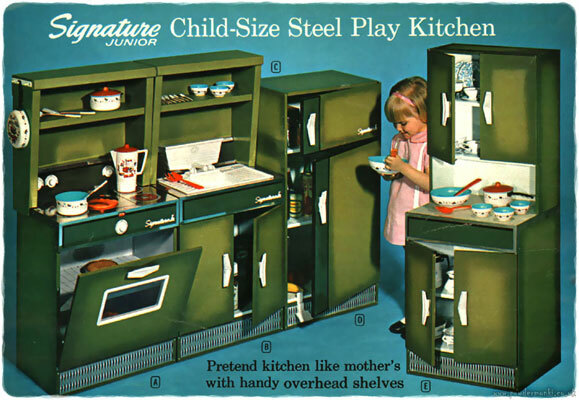 This decade was all about having fun in play kitchens. 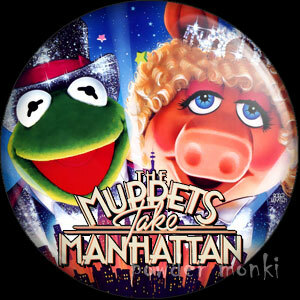 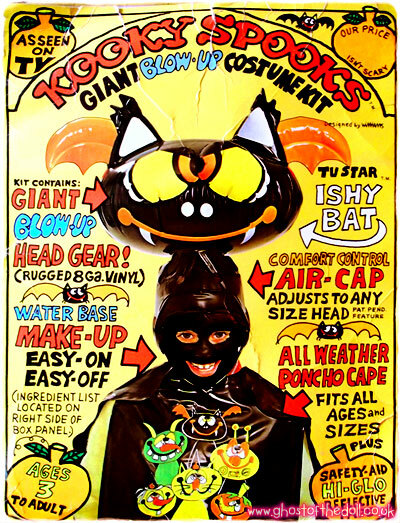 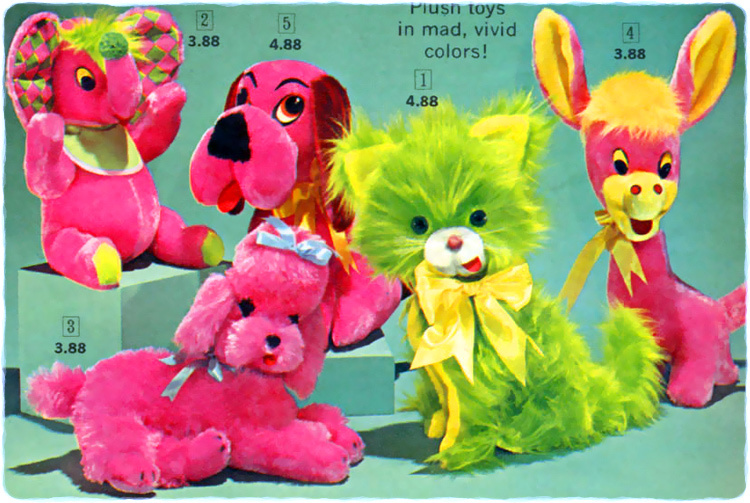 The 1980’s also saw children’s character themed sets become popular.